Staying at a Florida Keys resort has it's own special brand of magic that makes your Florida Keys vacation even better. There are sensible alternatives, and different choices. However, smething just sings Florida Keys vacation when you select a Key Largo resort or a resort in Islamorada. Below we've provided a detailed description of the different Key Largo resorts and Islamorada resorts to help with your Florida Keys travel plans. You'll find that choosing Florida Keys all inclusive resorts in Key Largo will put you in a separate league when it comes to pampering, amenities and Florida Keys things to do. In some cases you may never leave the property, there's just too much fun to be had right where you're at! To find out more about any Florida Keys resort in Key Largo Fl and Islamorada, click on the Check Rates Button by the name. You'll find TripAdvisor ratings and you can use the price checking widget you'll see to the right of the picture for each Florida Keys resort. You can also use this TripAdvisor flight planning tool to check for cheapest flights to the Florida Keys. I've also included a $ symbol legend as a quick reference point. However, as with other establishments, rates for resorts in Key Largo and Islamorada do fluctuate. I recommend that you use the handy rate checking widget to enter the dates you're considering to get the cheapest rates and then click SHOW PRICES. Just to let you know, I am an affiliate of TripAdvisor and as such I stand to earn a small commission when referring you to them when you check rates or use the search widget above. This doesn't cost you more to do this, as this is what being an "affiliate" means. All rooms and suites at this Florida Bay 3 acre resort come with fully equipped kitchens, and all have private porches, patios or outdoor sitting area. Located in Tavernier and close to Islamorada and Key Largo, you are at the epicenter of where the action is. Guests enjoy use of the private boat dock and ramp, a private beach, the beachside Tiki hut, BBQ grills, cable TV and free wireless internet. This Florida Keys resort exceeds the standards for luxury. At this magnificent 27 acre resort you'll experience a glorious, pampered vacation. Set against the sparkling greens and blues of the ocean, the lush tropical landscape is dotted with water features and pools. Every suite or room at Cheeca Lodge Islamorada has spectacular views, and each unit is unparalleled for it's refinement in decor. Guests can relax on the private beach, fish from the 525' pier, play on the lighted tennis course or hit a round of golf. Restaurants, lounges, spa, and fitness center add to the resorts many list of amenities. Situated on Florida Bay, guests can suntan on the beach, or lounge beside the pool. The rooms and suites are decorated in clean modern lines providing guests with comfortable elegance. Guests can also take advantage of various activity packages offered by the resort. Situated on 4 acres overlooking Gulf of Mexico, guests can suntan on the private beach, lounge poolside, or enjoy snorkeling in the tidal pool amongst the local tropical fish. Rooms are equipped with cable TV and include either a covered porch or patio. Laundry facilities are on onsite and there is no extra charge for using the boat dock or ramp. Guests also will find that there is plenty of space to store their boat trailer on their Florida Keys vacation to the Coral Bay Resort. All rooms and suites at this ocean side resort are decorated with a Caribbean theme. You can choose from rooms equipped with mini fridges and microwaves, to full kitchenettes or even full kitchens. Most rooms have private patios, all have free WiFi, and views range from no ocean view to ocean view or ocean side. The manicured private beach is dotted with palm trees, tiki huts, beach chairs even swaying hammocks to help relax while you enjoy the sun and the ocean. There's a dock to tie off your boat, the pool is heated, and the facility can accommodate Florida Keys weddings and receptions. Magnificently set against the waters edge, and sitting on 12.5 acres of lush tropical land, this Florida Keys resort provides a true vacation experience. Spacious rooms are tastefully decorated with luxurious linens and feature private balconies. Guests can relax beside 1 of 2 pools, soak in the whirlpool, relax in the sauna, or work out in the gym. Tennis courts, on-site restaurants and a large private beach help to round out the many amenities at this spectacular Hilton Key Largo resort. Sitting on the waters of the beautiful Atlantic Ocean, this spacious, 25 acre villa style Florida Keys resort offers the height of convenience and luxury to it's guests. At Islander Resort Islamorada, all villas have full kitchens, screened lanais, free internet and complimentary continental breakfast each morning. Tastefully and comfortable decorated, guests and their pets can enjoy a restful stay. Stroll the 200' fishing pier at sunrise, play on the private beach, lounge by the pool, or work out in the gym, then enjoy fine dining or a favorite cocktail at night. Sitting on Florida Bay, this spectacular adult only boutique-style Florida Keys resort provides guests with the ultimate tropical experience. Enjoy the lush botanical gardens, relax by the beachfront pool, or soak in the jacuzzi. Soak up the sun on the private beach or lounge in a hammock beneath the shade of the palm trees. Guests at Kona Kai Key Largo, have access to tennis and shuffleboard courts, along with the following complimentary features: beach towels, fresh fruits, Wi-Fi, paddle boats and kayaks, small boat docking, parking and trailer storage. The spacious rooms are graciously decorated and include all the essentials plus luxurious bedding, plush towels, and private ground floor access. Choose from cozy rooms to villa style accommodations, all set in a beautifully landscaped paradise looking out over Florida Bay. Units and villas come with fully equipped kitchens for your added convenience. Plan on spending time pool side, swim, fish and snorkel in Florida Bay, relax by the private lagoon or enjoy a refreshing drink on your private sundeck or patio. Boat ramp, dock, cable TV along with grill and picnic tables by the beach, round out the amenities at this comfortable resort. This beautiful, family oriented resort offers spectacular views of the Atlantic Ocean. The spacious suites and villas include kitchens, and cable TV, and are comfortably appointed. Luxuriate in the hot tub, or relax beside the beautiful fresh water pool, while enjoying the brilliant blues and greens of the ocean. Play beach volleyball, or stretch out and get a suntan, before taking advantage of the complimentary bikes and fishing gear. These beautifully appointed rooms are equipped with a variety of essentials. Suites have full sized kitchens, studios have fully equipped kitchens, and rooms have fridges and coffee maker. Unbelievable views, many overlooking the 76 slip marina are seen from the rooms at Marina Del Mar Key Largo. Complimentary continental breakfast is provided and guests have access to the 2 lighted tennis courts, Olympic size swimming pool, jacuzzi, fitness center, and sun deck. Boat rentals, fishing and diving charters are also available. Set in a spectacular lush setting, this gated Florida Keys resort has spacious villas, designed to be your home away from home. Featuring every possible amenity and comfort, guests have access to the clubhouse, the jacuzzi, tennis court and fitness center. Guests also can enjoy the 2 pools, one of which is the 7,800 square foot oceanfront lagoon style pool. Making this your Florida Keys all-inclusive resorts getaway, guests can also take advantage of diving charters and instruction, fishing charters, boat and watersport rentals. This incredible waterfront Florida Keys resort is set on 17 tropical acres and includes a full service day spa, dive shop, marina, shuffleboard, ping pong, fitness center, boutique, and private beach. Pampered guests can dine at the on-site restaurant or enjoy a favorite cocktail at the Tiki Bar. The oversized rooms at Key Largo Bay are beautifully decorated in island decor, and the resort has various sized rooms and large suites to accommodate every guest's need. With 1100 feet of private beach, concierge services, lush landscaping and large heated pool, this spectacular all inclusive Florida Keys resort is loaded with comfort, convenience and amenities. Included are tennis courts, kayak and bike rentals and a media library. Boat dockage is also available along with parking beside each cottage. Sitting on 60 acres, this Florida Keys resort has a private beach, boardwalk, swimming pool to lounge by, a jacuzzi to relax in, tennis, beach volleyball and marina. The attractive villas at Ocean Pointe Key Largo are designed to provide all the comforts and amenities of home with separate sleeping, living and dining quarters, whirlpool tub, and full kitchens. Every villa offers an ocean or mangrove view from the balcony, and on-site dining is available. This affordable resort sits on the Atlantic with it's own private beach. Lush landscaped grounds ensure guests are treated to a tropical vacation delight. Play tennis, soak in the hot tub while enjoying the beautiful colors of the ocean, or just lounge poolside and soak up the sun. All suites have marina, or ocean views, are comfortably decorated and include either bar fridges, or have kitchenettes. Cozy rooms and cottages situated on over 3 lush acres sets the stage for total relaxation. Whether you're playing on the beach, soaking in the jacuzzi, or lazying away the afternoon in a hammock you're sure to enjoy your stay. 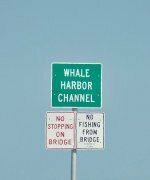 Guests also have access to the 110' fishing pier where they can catch a fish or a sunrise before heading off for a day of activities in Key Largo. You won't be disappointed when you choose to stay at any all inclusive Florida Keys resort. Key Largo resorts and Islamorada resorts conjure up luxurious imagery, and this is one time where imagination and reality mesh.